Its such a pleasure for me to meet mamas and rally along side of each other for support! And always nice to meet a like minded , home birth mama! Its not an always an easy job but it sure is extremely rewarding. 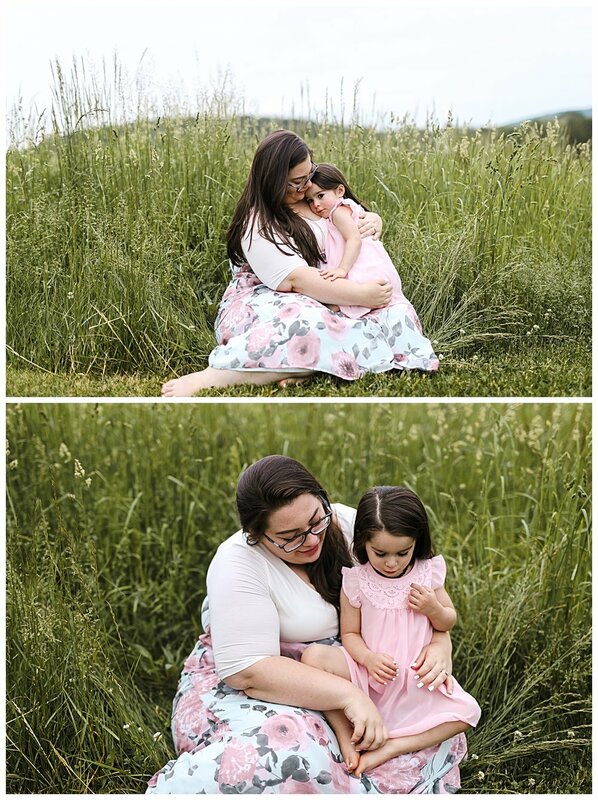 Felicia was so wonderful to meet at our Mommy + me sessions this spring along with her adorable daughter. I mean Look at Coraline's beautiful dark and long hair <3 Capturing all of her pure energy was exciting cause she always came back to her mama for secure hugs and kisses. Soon we will be meeting her bundle of joy #2!